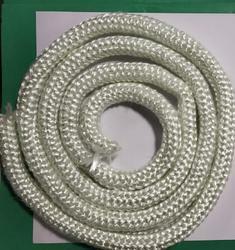 Our range of products include fibre glass rope and aluminium filter fabrics. Made from high temperature texturised fibreglass yarn. Available in all sizes 2 mm to 20 mm. Available in mesh from 100 to 400. Special sizes alo available. Width from 12" to 48"
Available in roll, Flat sheet, pressed shapes or stitched.